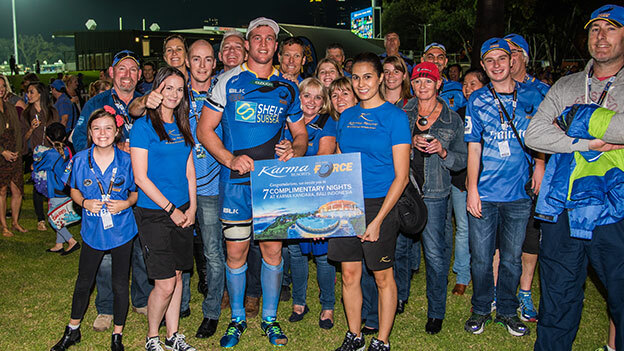 March, 2016 – Karma Resorts, a part of the award-winning international travel and lifestyle brand Karma Group has been announced as the ‘Official Resort Partner’ of the Perth based Western Force Super Rugby franchise. Karma Resorts are also proud to sponsor this year’s ‘Man of the Match’ award, in which the best performing player receives a week’s stay at the magnificent Karma Kandara resort in Bali. Western Force Chief Executive Officer, Mark Sinderberry says he is excited about the partnership with Karma and looks forward to a strong future. “We’re delighted to continue our partnership with the Karma Group, they’re a long term supporter of Rugby in Western Australia and we look forward to working with their team in 2016 and beyond.